HP Spiral Guard hose cover is lightweight, cost effective and abrasion resistant. 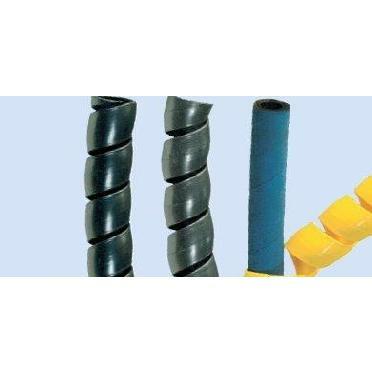 Can be used to bundle hoses together and the Polyethylene outer cover protects interior hose from exposure to air, water, hydraulic oil and many other fluids. SKU: HP Spiral Guard Hose Cover. Categories: Adapters/Accessories, Hose Protection.